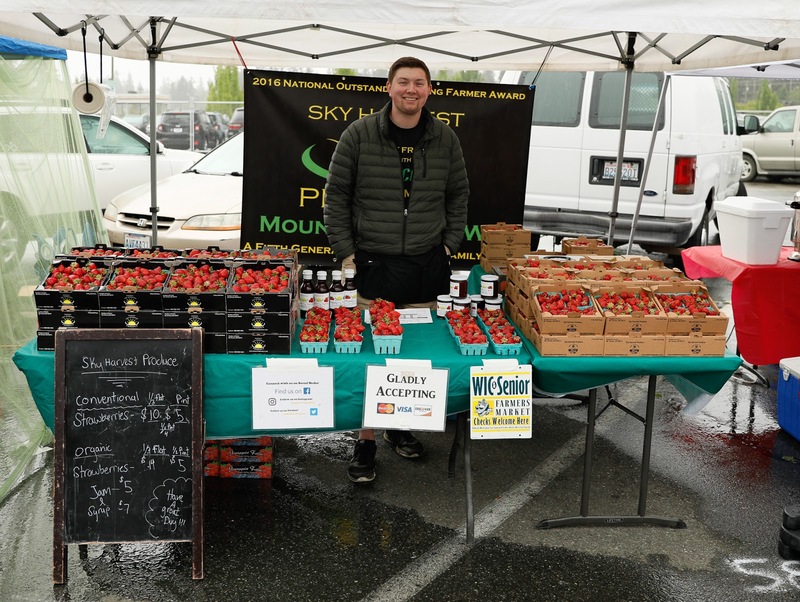 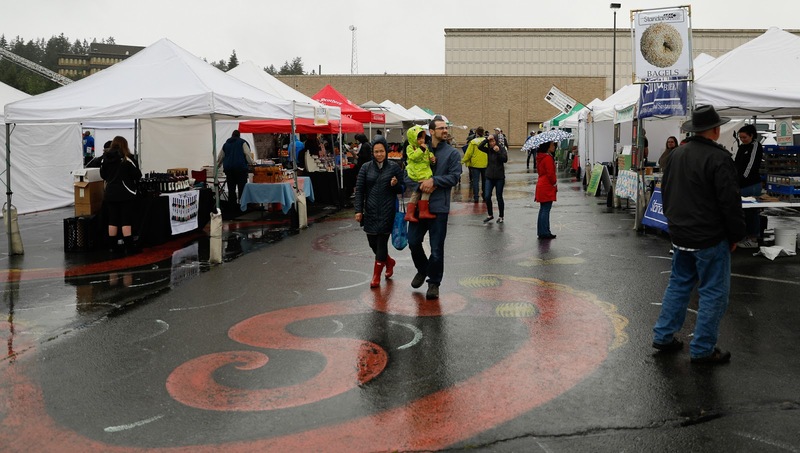 You really never know what the weather will be like around here, so it was the Shoreline Farmers Market's bad luck to hold their opening day in the rain. It certainly didn't stop the vendors from showing up and being cheerful under their canopies but it certainly kept the shoppers away. 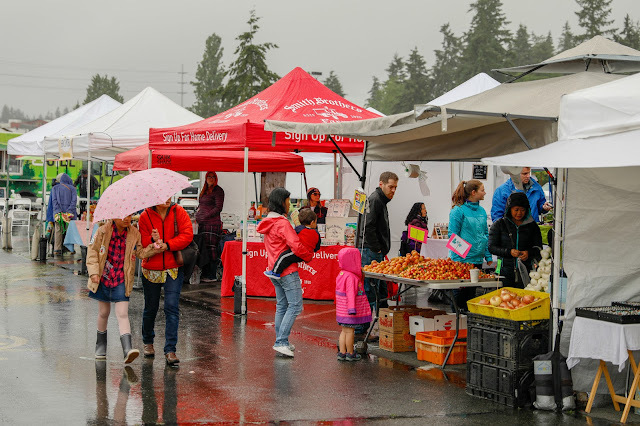 An intrepid few were there with their umbrellas and got to shop without crowds. 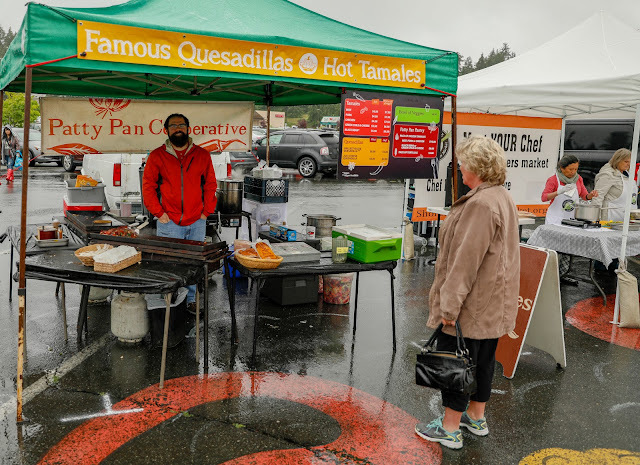 There were at least two booths with hot food, some wonderful produce stands, and fun vendors. 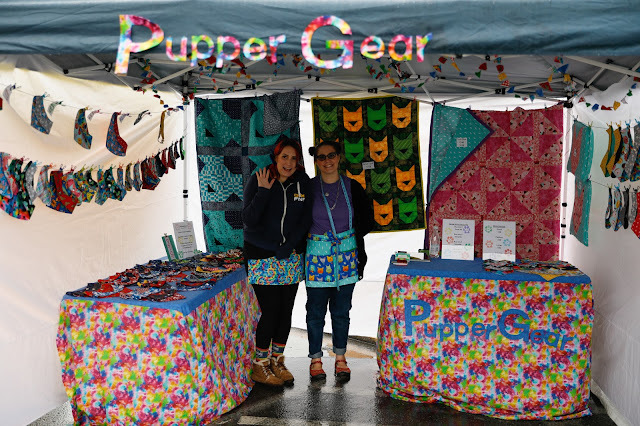 Go check them out next Saturday, 10am - 3pm on the upper level of Shoreline Place (formerly Aurora Square), Westminster Way. 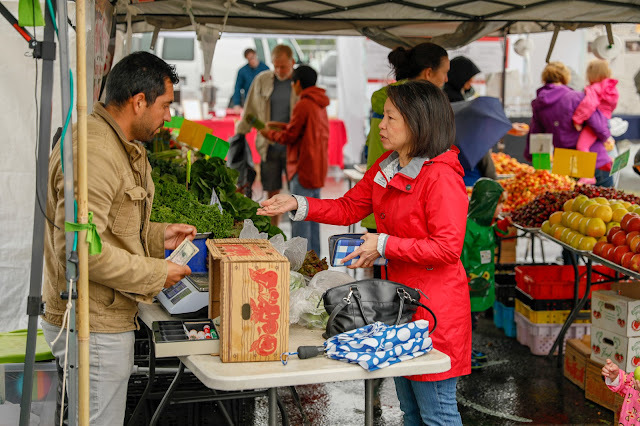 Shoreline councilmember Susan Chang was there, supporting the market. 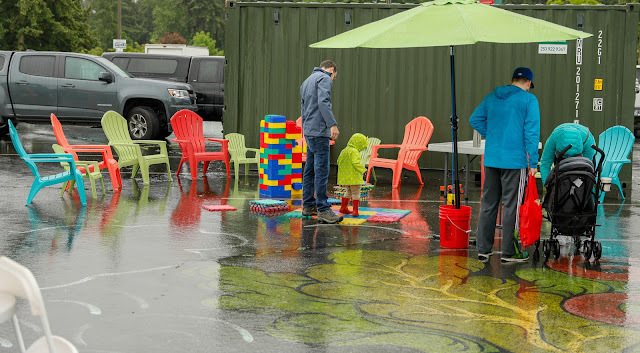 At least a couple of children, dressed for the weather, were there to take advantage of the play area. 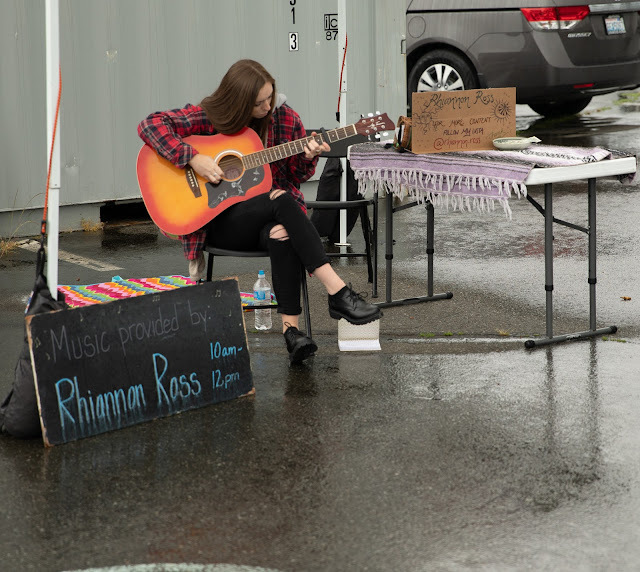 One lonely busker probably did not get a lot of tips this day.